We are so excited about the Descendants 2 movie! My daughter (and secretly me) love these movies. 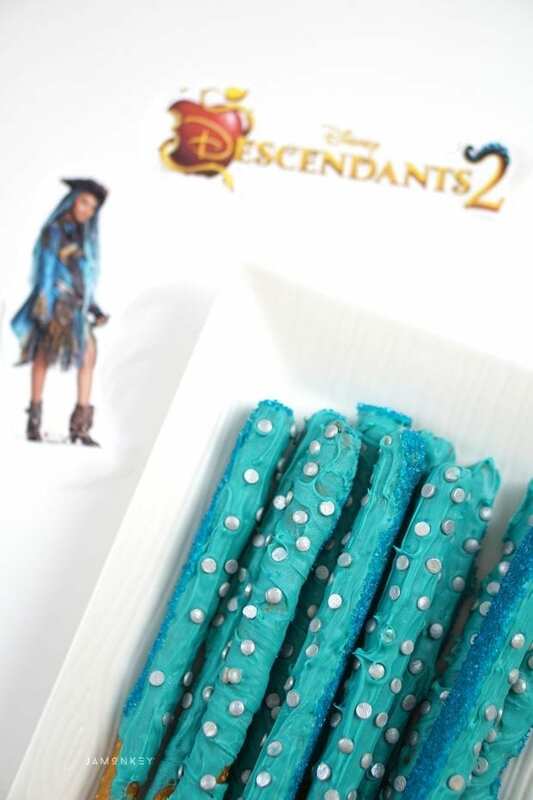 To celebrate the new movie we made Uma's Tentacles Pretzel Rods. When the pressure to be royally perfect gets to be too much for Mal, she returns to the Isle of the Lost. She discovers that Uma, the daughter of Ursula, has taken over as queen and that her gang is finalizing plans to bring down the barrier. We aren't just excited about the new movie though. If you didn't know, there is a book series for the Isle of the Lost as well that my daughter has read. The 3rd book in the series, Rise of the Isle of the Lost just hit shelves! 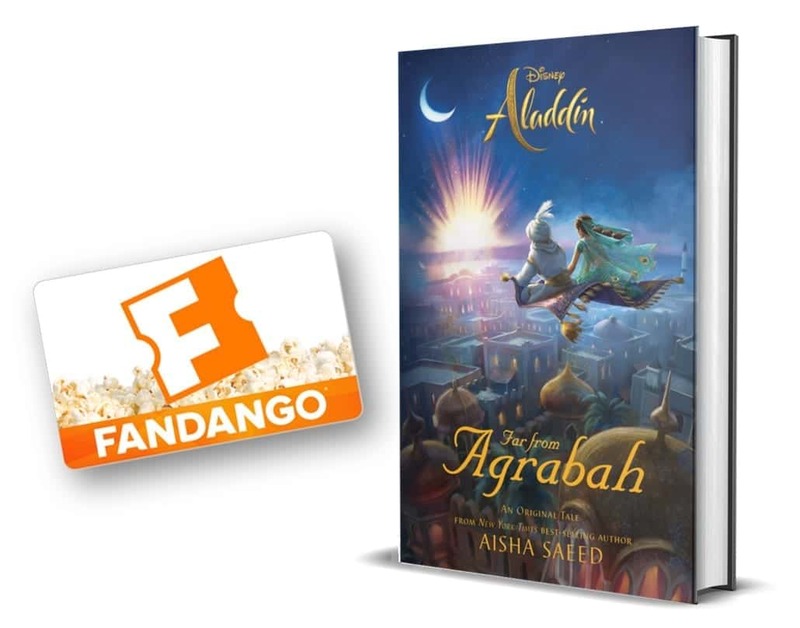 We can't wait to read the new story and see where the children of Disney characters go. These books are really great for young readers. It is the one book that my blows through! These pretzel rods are inspired by Ursala's Tentacles from Mainly Homemade. We put a Descendants 2 spin on them though using Turquoise to look more like the new villain kid. You'll need these to make them. First, melt the candy melts in the box. You can fill it up and pop them right in the microwave. As they melt, you can add in the rest of them. You can fit an entire bag of Candy Melts in the box! 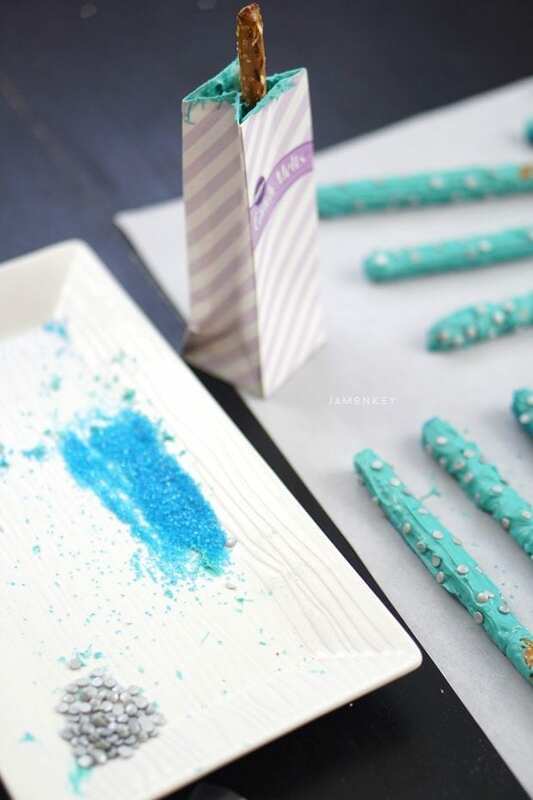 On a plate, spread out a line of blue sprinkles. This is going to be one side of your tentacle. 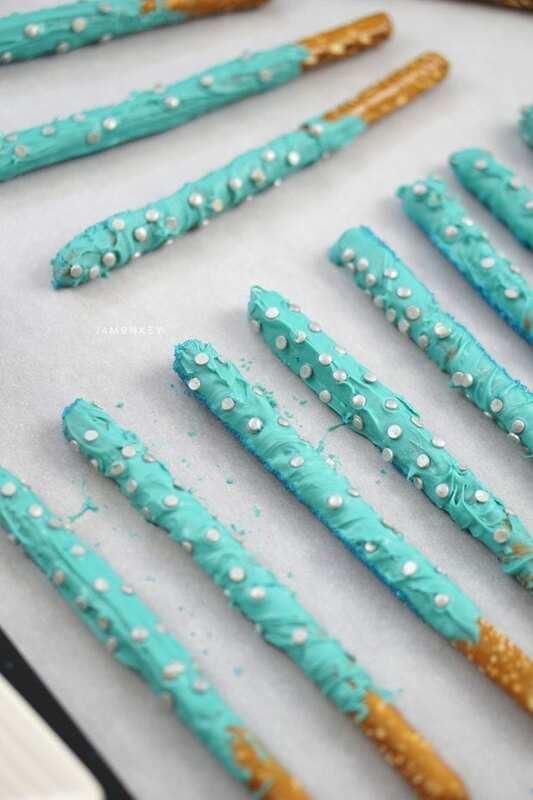 Dip your pretzel rod into the turquoise melted chocolate. 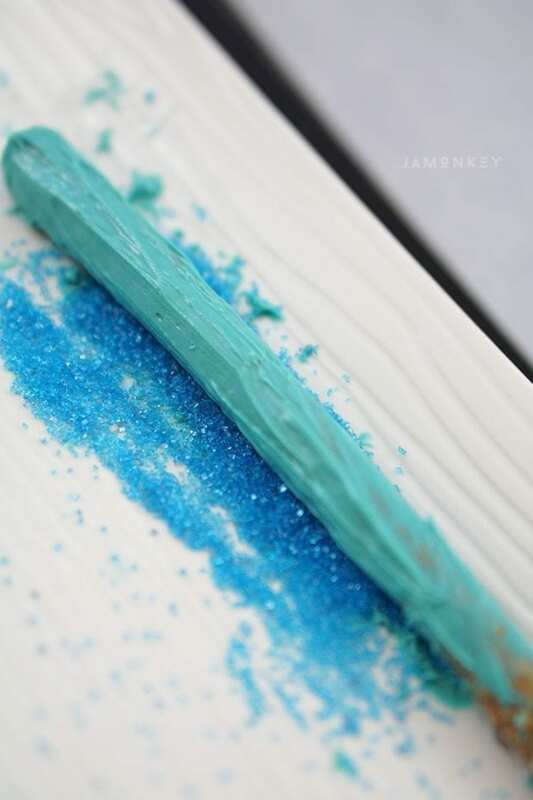 Then, place the rod in the line of blue sprinkles. Start to place the silver confetti sprinkles on the other side to look like the suckers of the tentacles. If you couldn't find Silver confetti sprinkles (I found mine at Michael's), you can use small white chocolate chips. Place your completed Uma Tentacle on a piece of parchment paper to allow the chocolate the harden. You can also place them in the fridge to speed up the process. These make for a great viewing party of the new movie. 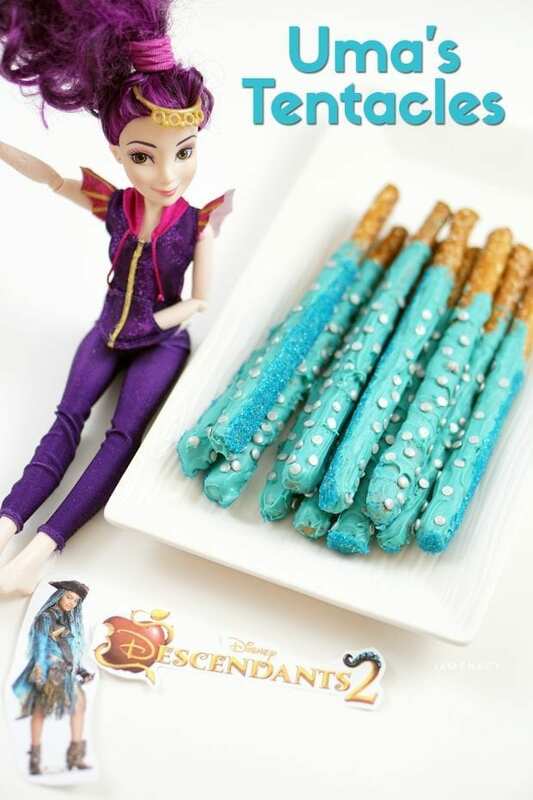 Check out some of these other great Descendants inspired food and fun! 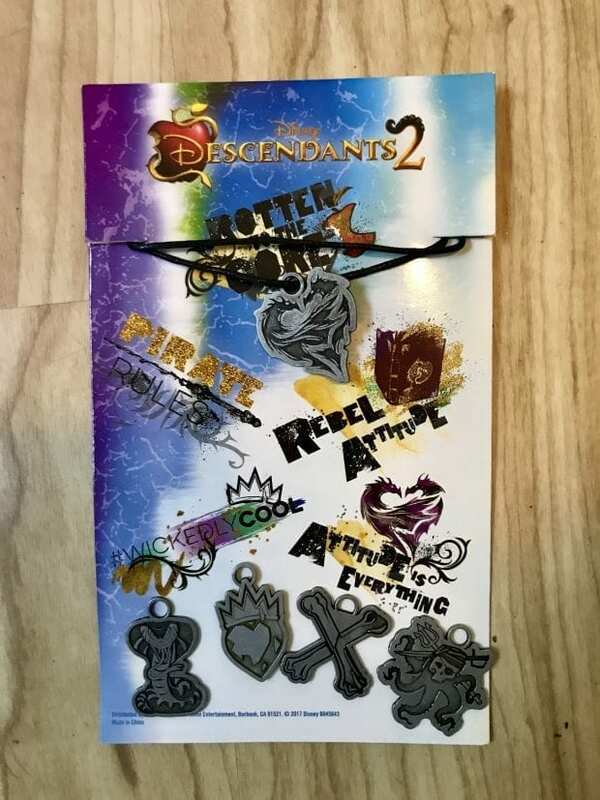 You can now own Descendants 2 on DVD, and it comes with a Villain Icons necklace! My daughter was so excited about getting the Descendants 2 movie on DVD because she loves watching the bonus features. It's nice to be able to watch the whole movie without commercials in it as well. We recorded the movie on DVR and she had to fast forward a lot and now she doesn't have to. How cute is the necklace t hat comes with it!? Mal (Dove Cameron) is my favorite Descendants character! My favorite character from Descendants 2 is Mal. my daughters favorite character is evie she loves her hair and her out fits and the songs she sings! Our favorite Disney characters are the Minions from Despicable Me. I would love to see how the characters interact with each other. I hear a fan favorite is Harry Hook. Evie is my favorite character. I do not have a favorite as I haven’t seen the first film. It looks like a good movie! I like Dizzy the most! Mal is my favorite Descendants character. Thanks for the giveaway. I hope that I win.